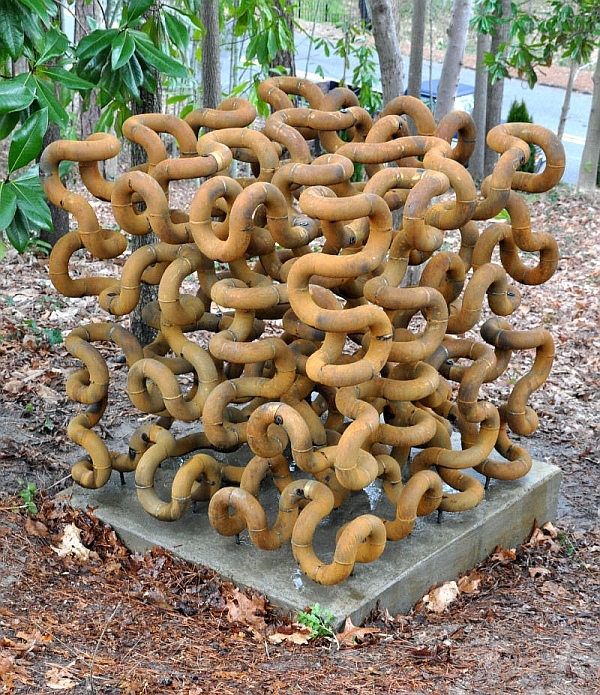 Back in March, this column showed a 3D Hilbert curve made of 64 PVC plumbing elbows arranged in a 4x4x4 cube. Chaim Goodman-Strauss has since outdone himself with an 8x8x8 cube of 512 steel elbows that he made with Eugene Sargent. It is springy, but strong enough to stand on, as Chaim demonstrates in this video. This article first appeared on Make: Online, November 15, 2010.